Counterfeit fraud at U.S. chip-enabled merchants down 76%Number of EMV chip cards and chip-enabled merchants continue to grow. 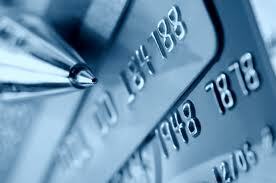 Visa set the path for the U.S. payments industry to begin the shift to EMV chip cards in 2011. One of the leading factors was that chip technology is extremely effective in reducing counterfeit fraud, which was the leading type of fraud in the U.S. at the time. During the most recent period ending in March 2018, Visa saw continued growth across the number of chip cards and chip-enabled merchants, payment and transaction volume since before the shift to EMV chip launched in October 2015. Counterfeit fraud also declined sharply. So are we still at risk when you use our EMV chip card…..YES! As a consultant for the past 20 years providing credit card processing and PCI Compliance the shift has increased when you shop online and your mobile devise. Over the next several weeks I will discuss ways to protect your self and your wallet. ← My Milkshake Has Been Hacked!